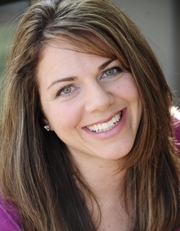 Wendy LeBorgne is the voice pathologist, singing voice specialist, and director of the Blaine Block Institute for Voice Analysis and Rehabilitation (Dayton, OH), and The Professional Voice Center of Greater Cincinnati (Cincinnati, OH). Additionally, she holds adjunct professor positions at Cincinnati College-Conservatory of Music as a Voice Consultant. She holds a B.F.A. in Musical Theater from Shenandoah Conservatory and both her masters and doctoral degrees from the University of Cincinnati in Communication Sciences and Disorders with a specialty in voice disorders. LeBorgne's research has focused primarily on the area of the professional singing voice (specifically the Broadway Belt Voice). Original peer-reviewed research has been published in the Journal of Voice and she is a contributing author to the book Voice Therapy: Clinical Studies providing a case study on “Vocal Intervention with the Touring Broadway Actor”. She has authored two training DVD’s entitled LARYNGEAL VIDE0STROBOSCOPIC IMAGES: Normal and Pathologic Samples and Rating Laryngeal Videostroboscopy and CAPEV: Normal and Pathologic Samples distributed by Plural Publishing. In addition, her article “The Young Singer: Consideration for Vocal Training in Children through Adolescence” was published in the American Speech Language Hearing Association’s (ASHA) Perspectives on Voice and Voice Disorders. Her newest book and workbook (with co-author Marci Rosenberg, M.S. CCC-SLP) The Vocal Athlete & The Vocal Athlete: Application & Technique for the Hybrid Singer are written and designed to bridge the gap between the art of contemporary commercial music singing and the science behind voice production in this ever-growing popular vocal style. LeBorgne actively presents and provides workshops and master classes nationally and internationally on the professional performing voice. Her patients can be seen and heard on Broadway stages, national and international tours, opera companies throughout the world, network television, commercial music recordings, and as radio personalities. As a voice pathologist and singing voice specialist, her clinical work includes providing voice evaluations and therapy for singers and actors locally and nationally. In addition to her duties as a voice pathologist, Dr. LeBorgne continues to maintain an active professional performing career. BFA, Shenandoah University, Wincester, VA (Musical Theatre). Master&apos;s & Doctorate, University of Cincinnati (Communication Sciences and Disorders (specialty: voice disorders)).